On New Year’s Day we were greeted with a beautiful day of soft sunshine amidst the white wintery landscape surrounding the convent. It was a privilege to witness such beauty – the beauty of promise and of the dawning of new possibilities within ourselves and others, even when these possibilities are not necessary immediately visible. After a wonderful uplifting (talking!) breakfast, I decided to take a few moments outside to bask in the delightful sunshine. I remembered a time when I used to do this frequently; in the late summer and beginning of the fall season, especially. Outside the convent is a particular rock that I like to sit on and enjoy the sunshine. It is a place where I felt very much at peace, and where I could talk to God without any interruptions or distractions. A quiet thinking space, if you will. As I ventured outside this time, my thoughts drifted toward my favorite rock, but I then realized that I could not see it. It was completely covered in snow. It wasn’t gone – but it was invisible for the moment. I think that is how it is with the presenc e of God in my life sometimes. There are difficult moments where I may think that I can’t feel His presence, but that doesn’t mean that He is gone. Perhaps I had felt, for the first time, what is in mysticism referred to as the “dark night of the soul”? Like the rock, God is steadfast and remains, always. When circumstances of life, or struggles within cloud our sensing of His presence, that doesn’t mean He’s gone. 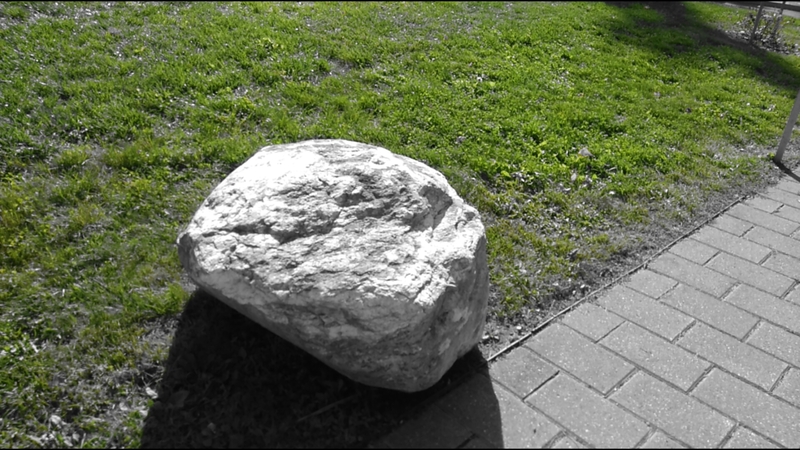 When the snow melts, the rock will still be there. And when the trial has passed, God’s loving presence will be there for the sensing again. Instead, I had the gentle invigorating sunshine on my skin to remind me of His loving presence. I am grateful for these gentle reminders of God’s presence. And indeed, I am excited to greet the New Year and meet the joys and the challenges together with my fellow Companions here at SSJD! Thank you for your writing, I really enjoyed reading It!